LOCATION, LOCATION! Beautiful, custom built private 4 bedroom 2.5 bath located in the heart of the New River Valley! 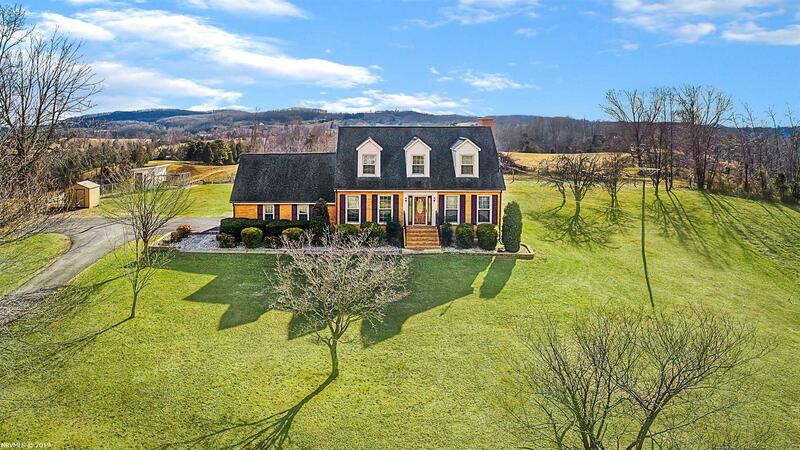 Located between Radford, Christiansburg and Blacksburg with a short drive to food and entertainment in either direction. Nice large covered back porch for entertaining. 2 car attached garage with additional storage space. Mountain views with 5.33 acres of beautiful land. Large updated eat-in kitchen with stainless steel appliances. Elegant dining room for entertaining. Main level laundry! Bonus room for office or gym! Convenient, private location at its finest! Potential mother in law suite detached from main home! Has been rented before. Come check out this one of a kind property today!